Sweet Taiwanese mandarine orange filled with 'red' Formosa oolong tea then dried in a unique and highly skilled process. Definitely worth vintaging. A tea master we visited in Nantou, Taiwan, invented this lovely tea from locally grown fruit which he has hollowed out and filled with a dark, fruity ‘red oolong’ that his family has specialised in making for three generations (the grandfather, we like to think, of our Lishan Oolong nuggets). The mandarine has then been very skilfully roasted over a slow heat to remove the skin’s moisture and allow the glucose and pectin to merge, making for a wonderful citrusy aroma and sweetness. The oxidation and the four roastings produce a beautiful black lustre on the spongy citrus skin with the lightest ‘dusting’ of fine, white powder. This is glucose from the fruit and the oolong, which has slowly crystallised and emerged on the surface. You’ll find similar ‘snow’ on the outside surface of dried sharon fruit (persimmon or kaki) or indeed good quality kombu seaweed. When we first tasted Mandarine Oolong, we fell in love with its citrus aroma, which isn’t frisky or summery but somehow a more mature flavour reminiscent of autumn orchards. A very interesting and rare discovery, said to have antecedents in the ancient agrarian culture of the Hakka ‘guest people’. It is definitely worth vintaging if you can bear not to drink it straightaway! Mandarine orange is considered in traditional Chinese medicine to help nourish the lungs and reduce phlegm. Weight varies between 130 and 160 grams. 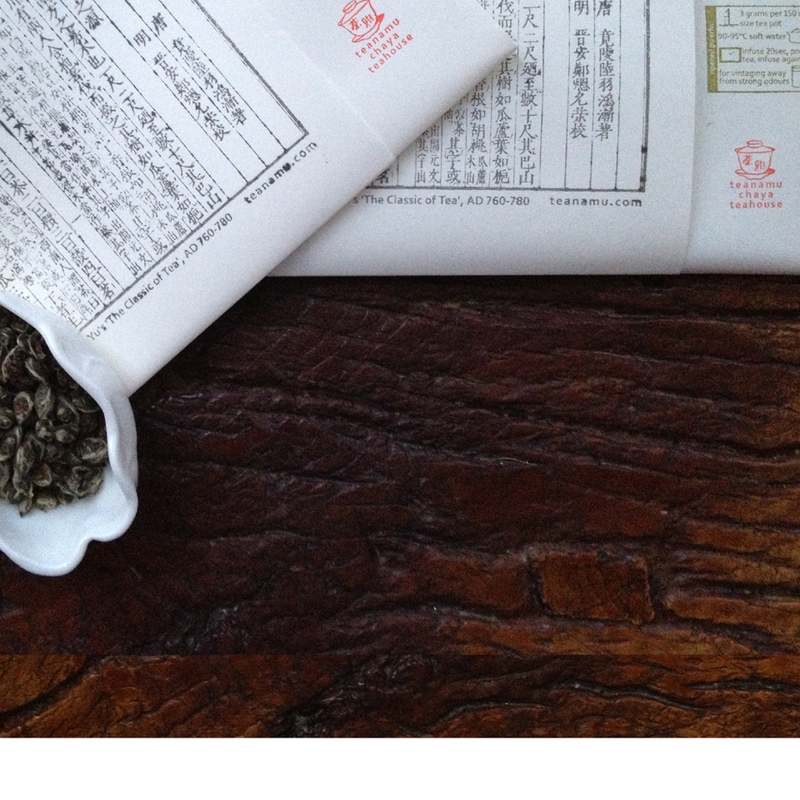 We encourage you to visit chaya teahouse to select your own mandarine oolong. Thus, this tea available for collection at chaya teahouse.